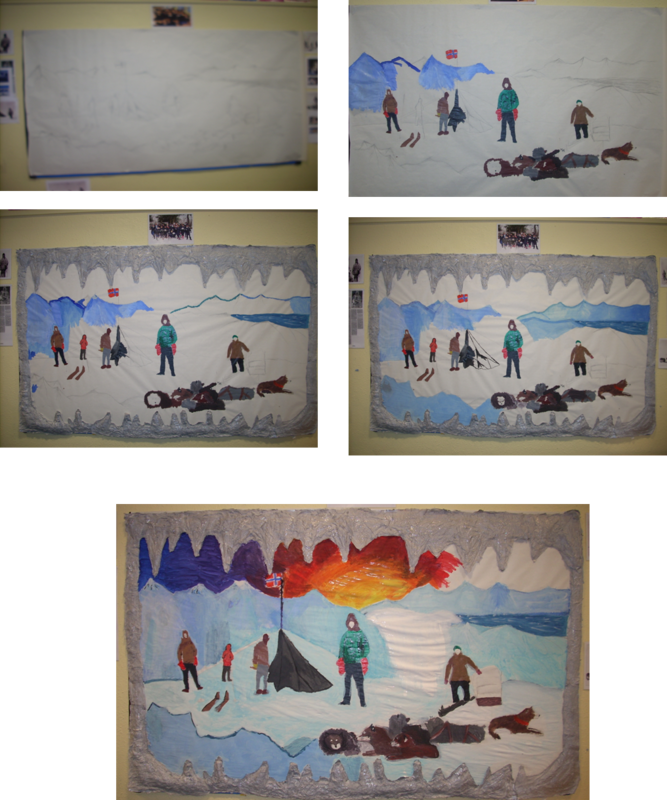 The class created a on-going piece of artwork as part of a unit on Polar Explorers. The scene featured the first people to make it to the South Pole. Each week the class added to the artwork. Students were extremely proud of this work, which was produced as a result of their creativeness and student collaboration.